There’s a filter icon in the character menu bar. 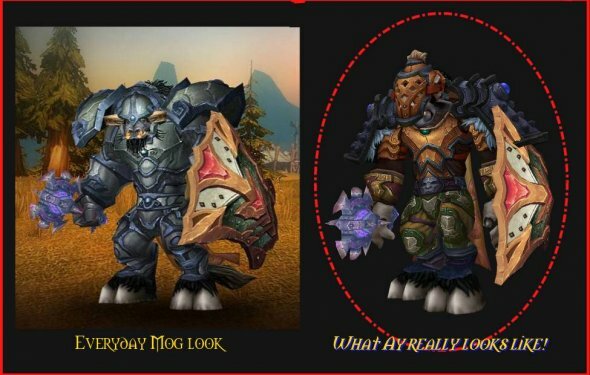 It’s your BFF when it comes to looking at all of the ranked gear lists. Click that filter icon as shown above. And the filter window pops up, as shown below. 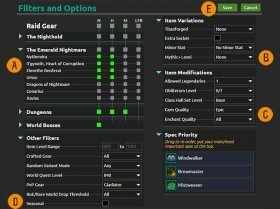 These filters control all of your gear lists, from the regular ranked lists, to Best in Slot, to everything in the Upgrade Finder. A. Click the blue arrow next to any list to get more options. Here, I expanded the Emerald Nightmare list, and removed the last few bosses from the filters. I also turned off Mythic and LFR. This will filter all of the lists to only show me the first several bosses for both Normal and Heroic. B. You can set the Mythic+ Dungeon mode that you are doing, to get those items and iLevels included in your gear lists. C. Enchants and gems are expensive right now, even the ‘cheap’ ones. So we let you set those to ‘none’ if you want, and Mr. Robot won’t suggest them for you. D. With seasonal events coming up (and currently underway) you can check this box to see those items as well. E. When you are done, click Save!! One more gear ranking tip! If you want to see how an upgraded version of just one item ranks, you can do that right in the gear list.